Do not be dismayed for I am your God. I will strengthen you; I will help you. 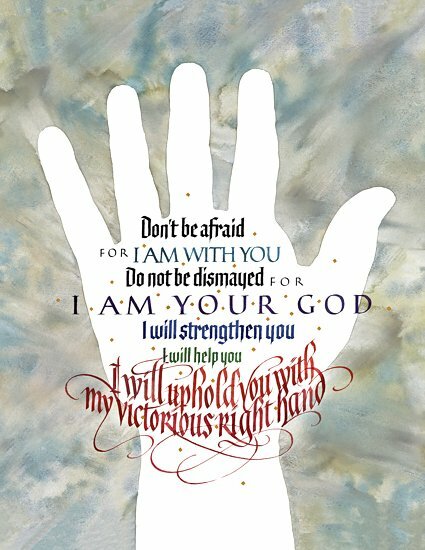 Tim Botts uses his expressive calligraphy to create a beautiful "word picture" of this passage from Isaiah 41:10 artistically presenting the text and visually illustrating its meaning.